Culinary Legend – The Great Kabab Factory at Hotel Radisson Blu Kharadi is back after a revamp . But this time with a twist. Executive Chef Amol Patil who has mastered Italian cuisine in his previous stint at Mumbai and Chef Zameer Ahmed originally from Lucknow are a unique combition and what they have brought to the table seems to be innovative . 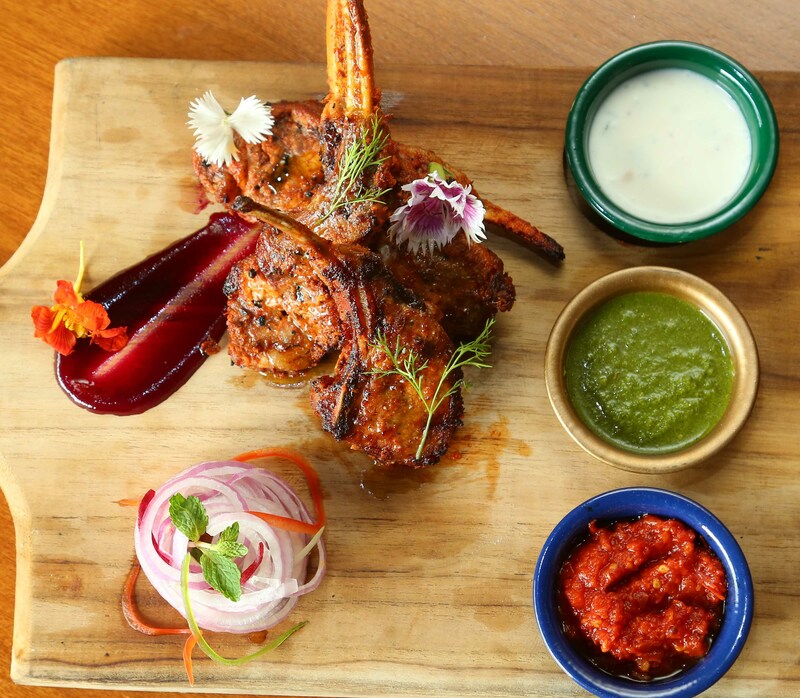 Their creative approach to craft the recipes by global ingredients but retaining the nostalgic flavours and traditions of India is what makes the The Great Kabab Factory in its new form interesting. The restaurant is open in the evening and the food is in the form of a set menu. It includes a whopping twelve kebabs , six veg and six non-veg. The dinner ambience has seen a transformation of the space’s aura into a more spacious , elegant , rustic and vibrant . and exciting affair offering limited editions of Serigraph work of Banaras Series by Manu Parekh – celebrated modern artist. There is also a private dining area. 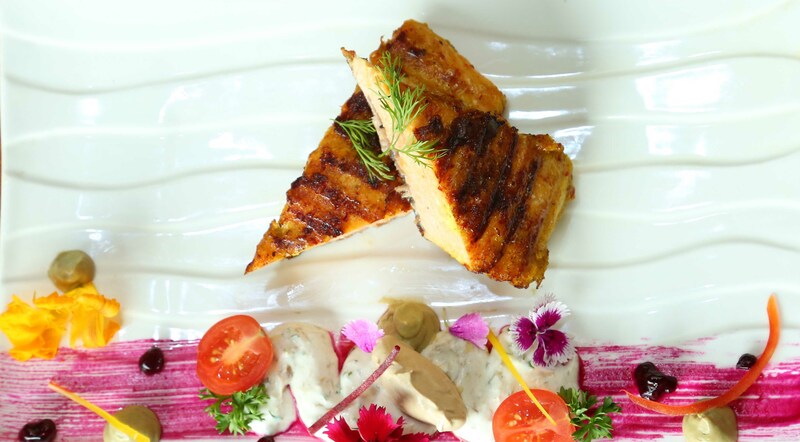 There is no doubt that any barbeque or kebab platter can’t be complete without a Chicken Tikka. So while this is there in the form of Afghani Murg Tikka , Mutton Galouti with Ulte tawe ke parathe , Patthar ke Murg , Garlic Butter marinated prawns , Kadak Bhuna Chops (Lamb) , Orange Marinated Salmon Tikka make an interesting line up , but one should decide whether they want only one form of meat or go all out after the menu. Otherwise there won’t be any place for the main course and desserts to follow. And if you thought kebabs are mostly for non vegetarians The Great Kabab Factory proves you wrong. In fact innovative veg kebabs here actually stand out . 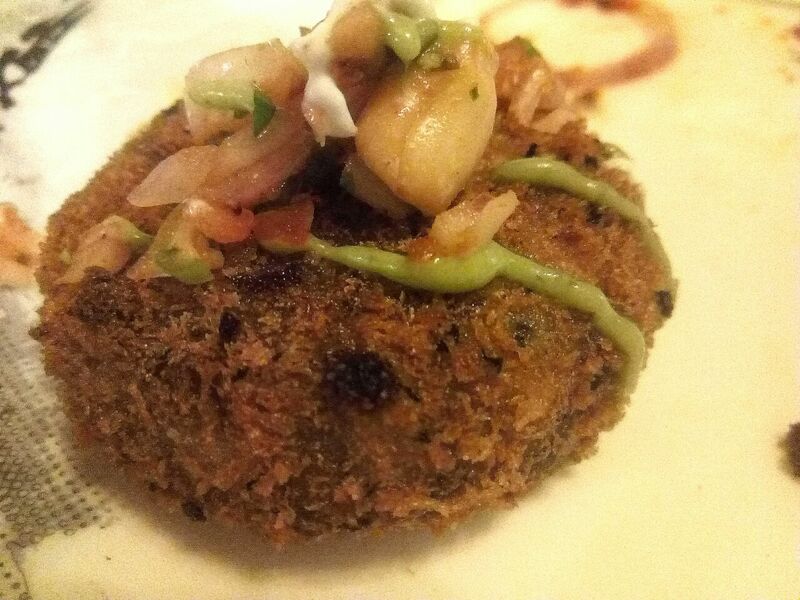 Chef’s Signature dish, ‘Pumpkin & Burrata Chop with moongphali chaat is worth a try . Paneer Paratdar with Akrod Chutney is another superb innovation with mixed mawa, dry fruit, chopped ginger, coriander, salt & roasted jeera powder rolled in between slices of Paneer and grilled . naduru Anjeer Ki Sheekh , Mushroom Galouti with Gucci Cream melt in the mouth . Khoya Aur Badam Bharwan Aloo completes the veg line up. 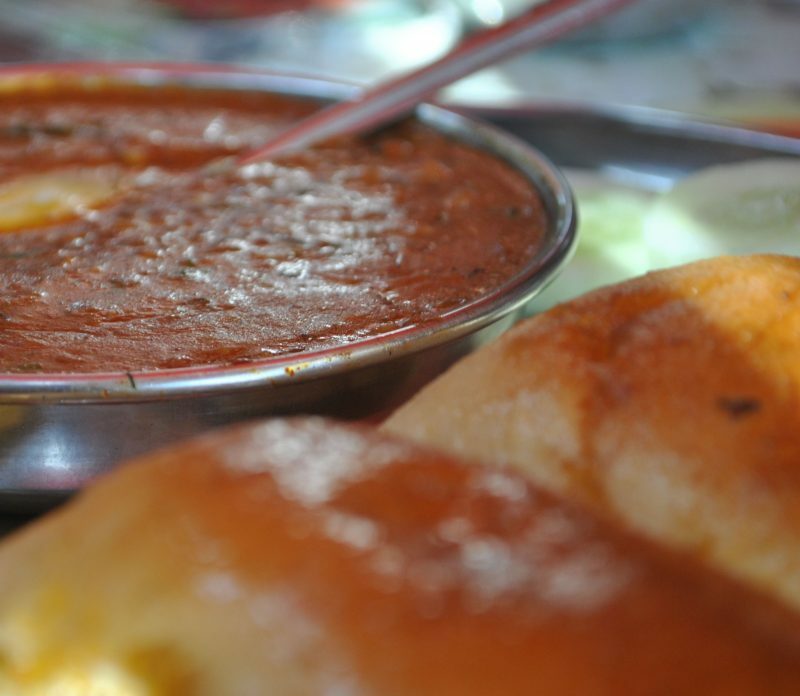 The table top has various types of chutneys including Mint, Tomato, Peanut and Yoghurt , Tamarind accompanied with Laccha Onion , Lemon Wedges and Green Chilli . After twelve kebabs if one has the appetite to eat further there is lots in store with Paneer Nazakat , Dal factory , Lasooni Dal tadka , Veg Dum Biryani , Bhavanagari Mirch ka Salan, Gosht Ki Nihari , Murg/ Mutton Dum Biryani and Indian breads. And then if you still are hungry then the desserts are must have. In fact there should be some space in your tummy for desserts at The Great Kebab Factory are also the highlight. 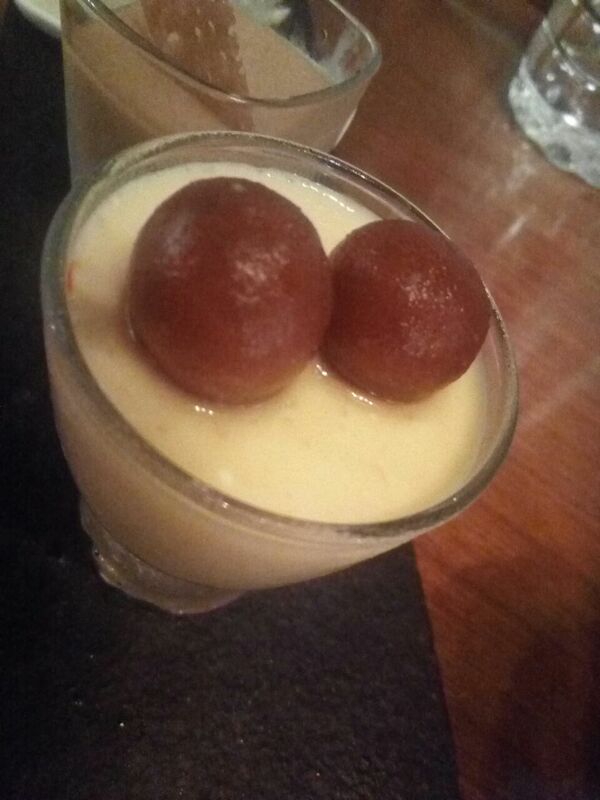 Baked Mishti Dohi , Angoori Gulab Jamun Panacotta are a must along with Paan and Malai Kulfi. The dessert platter followed by Choice of Pan works as the perfect end to a fulfilling experience. Next Post: The gastronomic delight !